Q: Who can enter the ISC? A: The ISC is open to anyone who produces, markets or sells spirits from any country, including distillers, producers, distributors, agents, pr agencies, independent retailers, retail chains, supermarkets and wholesalers. All spirits must be entered with the permission of the brand owners. Please check that your agent or producer has not already entered the same spirit as you. Q: What products can I enter? All spirits must be commercially available for retail, and in sufficient quantities for it to be reasonable to expect them to be available until at least early 2019. No specially prepared samples will be accepted. Q: I'm not sure which category to enter my product? Q. Can I save entries in my shopping basket and return to complete payment and booking at a later date? A: Yes, entries can be saved in your basket to be completed at a later date. Q: How are discounts applied to my order? A: Discounts for multiple entries apply to online bookings only and will adjust automatically once entered. Q: Can I add further entries to my existing order? A: Yes. Just enter further bookings in the online entry process. Discounts for multiple entries will adjust automatically. Q: Can I change any entries once they have been submitted? A: Yes, simply log into your account and request for changes to be made. Q: I have entered my products online. What are the next steps? Q: Where do I send my samples for judging? A: Full information about shipping can be found here. Q: Why do I need to pay UK Duty? A: UK Excise Duty is payable on all alcoholic products, irrespective of strength, with the duty varying by product type. This is governed by UK Law. Each bottle you send must be fully supported with the correct documentation showing that UK Excise Duty has either been paid, or is due to be paid, before it is released onto the UK market. It is your responsibility to pay for UK Excise Duty and you can purchase this by selecting this option when entering the ISC online. Q: The spirit brand I wish to enter is very expensive and of limited stock, can I still enter? A: Please contact the sales team who can help and assist with your enquiry. Q: Can I cancel my entry if the sample product cannot be supplied or I change my mind? A: Entries may be cancelled up to 14 days after the booking date. After this, entry fees are non refundable. Alternatively you may replace the replace with another product at no additional cost. Simply log into your account and request for your entry to be cancelled. A member of the ISC team will then process your cancellation and send updated paperwork. Q: Can I receive an invoice for orders under £500? A: No. All orders under £500 must be paid by credit card to enable you to complete your transaction. Any orders over this amount may be invoiced. A: Entrants will be informed by email. Q: Can I stop my results being published or announced? A: Entrants reserve the right to withhold the results from being published. Entrants must contact us within seven days of receiving notification of your results. Rick Beaumont on +44 (0) 1293 558 130 or email rick.beaumont@drinksint.com. Q: When and where will the results be published? 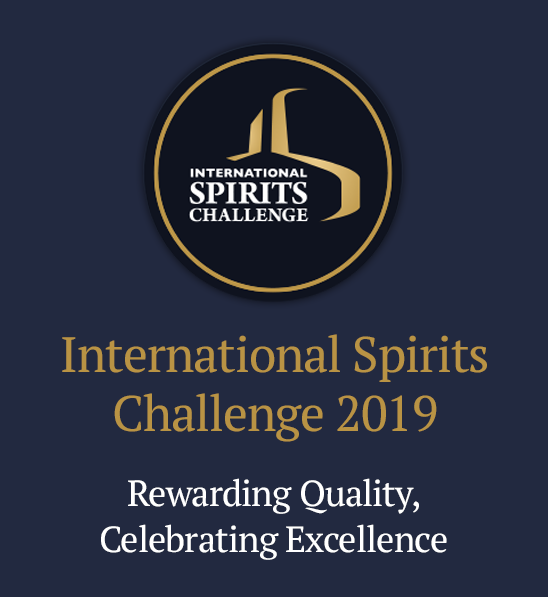 A: The results will be published online at www.internationalspiritschallenge.com and www.drinksint.com as well as printed in Drinks International Magazine. Click here to see when results will be announced. Q: Can I obtain feedback from the judging notes? A: On request we can submit feedback from the judges notes. Q: Can I use any award logo freely? A: Yes you can use electronic medal award artwork to showcase your success. You will be sent high resolution artwork and you can also purchase high quality stickers to help promote your products. Medal artwork is valid for three years from date of issue. Q: How do I know if my spirit is a STANDARD, PREMIUM or SUPER PREMIUM product? A: When entering a spirit into a standard, premium or super premium category, please carefully check the product description. Tasting categories are not based on price point, so entrants should consider factors such as limited bottle production, quality of ingredients and the distillation process, which should determine whether a spirit is a standard, premium or super premium product. Q: What should I check, when entering my STANDARD, PREMIUM, SUPER PREMIUM spirit? A: Please check the description on your bottle label before entering the challenge. The entrant has the final responsibility for entering a spirit into the correct relevant sub category based on the product description.